The new XJ-750 Ultra Sonic Humidifier is the answer to uncomfortable dry air. It lets you enjoy the comfortable and suiting humidity wherever and whenever you like. 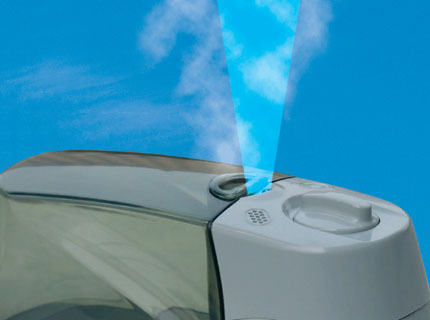 This compact Ultra Sonic Humidifier provides the same feeling of the large sized humidifiers. Its small size is portable and easily fits into your travel bag or handbag. Each fill of water will provide 8 hours of humidification for a room of 15m2. The blue light system provides both effective detection of the misting condition and night time light source. This humidifier not only creates moist and comfortable indoor environment, but also provides negative oxygen ions continuously to make indoor air naturally fresh. During seasons where humidifier is notfunction of this machine gives you excellent economic value.